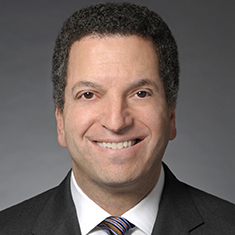 Daniel P. Shapiro has successfully represented clients across the country in complex business litigation. Dan focuses his practice on commercial disputes, litigating and trying significant cases including disputes arising out of the purchase and sale of businesses and securities, business valuations, contracts, products liability claims and complex class actions. Dan has represented hospitals and medical service providers in class actions and qui tam litigation and has represented financial institutions and related service providers in litigation brought under federal (’33 and ’34 Act) and state securities laws, Racketeer Influenced and Corrupt Organizations Act (RICO), the Truth in Lending Act, the Fair Debt Collection Practices Act, the Fair Credit Reporting Act and matters arising in connection with the Consumer Financial Protection Bureau. Dan is an adjunct faculty member of the Round Table Group, a consortium of university and industry experts who provide consulting, expert witness and legal support services for a variety of businesses. Defense of a Chicago-area university medical center in a qui tam Federal False Claims Act case. The lawsuit alleged that the hospital submitted false claims to Medicare and Medicaid over a 14-year period because of alleged noncompliance with teaching physician rules. Representation of a member of one of the nation’s wealthiest families in his claims regarding various trust and probate matters. Defense of an international company in multi-jurisdiction litigation with a software developer regarding the ownership of intellectual property and data. Through litigation and mediation all of the client's assets were successfully protected and secured. Representation of a private equity firm in litigation with a state attorney general regarding a tribal lending business. The value of the claim is asserted to be in excess of $100 million. Representation of a privately held company in litigation relating to a $40 million claim by a minority shareholder. Representation of a family trust in the successful negotiation of a $100 million gift to one of the nation's leading private universities, the second-largest gift ever received by that institution. Defense of a product manufacturer in the cannabis industry in a dispute with a design firm regarding royalty rights. Favorably resolved. Defense of the senior officer and his new employer in multi-jurisdiction, "bet the company" ($200+ million) litigation brought by a public company—the senior officer's former employer. Through the effective use of counterclaims and intensive discovery, our clients were positioned for an extremely successful resolution of this dispute, retaining all of their business opportunities. Representation of the senior officer of a real estate investment company in the separation of the senior officer's interests from the company, including successful litigation relating to post-employment rights and obligations and protection of the client's new venture. Representation of the senior officer and the company in disputes with employees relating to the client's new ownership interest in the company, including the negotiation of a successful resolution of all controversies. Representation of several large national banks in a series of federal court consumer class actions. Representation of a lender against a real estate developer in a multimillion-dollar dispute regarding entitlement to reimbursed TIF funds. Obtained injunction and constructive trust for client. Appeal to the US Court of Appeals for the Federal Circuit successfully reversing a district court order preventing a client from entering a market worth hundreds of millions of dollars annually to the client. The appeal was based upon the firm's arguments that the district court had failed to provide due process to the client and had entered an order without the sufficient development of a factual record or an adequate hearing. Prosecution of a motion for a temporary restraining order on behalf of a Michigan-based OEM auto parts supplier in Delaware bankruptcy court to preserve the supply of raw materials to his client from a Fortune 50 company. In the absence of this relief, the client would have been shut down. Representation in connection with theft of trade secrets and breach of covenants not-to-compete in seven-day trial in Circuit Court of Cook County. Representation of a medical center teaching hospital in a putative consumer class action accusing the hospital of violating Illinois lien law. This is a developing area of law in the health care space; the case will eventually be decided by the Illinois Appellate Court. Representation of a foreign corporation against a Fortune 100 domestic corporation in connection with industrial machinery in a seven-week jury trial in federal court. Representation in connection with a multimillion-dollar commercial real estate brokerage commission dispute in a four-day arbitration. Representation of a high-net-worth individual in federal court litigation to recover a substantial charitable gift where the terms of the gift were breached by the donee. Defense of a leading national commercial lender in a $100 million+ securities fraud class action and related multidistrict litigation proceedings relating to the public sale of subordinated notes. Successful appeal to the US Court of Appeals for the Fourth Circuit under F.R.C.P. 23(f), reversing district court's class certification order. Trial and ruling in favor of a lender on all counts of a $115 million securities fraud claim following a five-day hearing in North Carolina. The plaintiffs were advancing various theories of lender liability on behalf of the purchasers of defaulted subordinated debt issued by our client’s borrower. Defense of a leading commercial lender against creditors seeking to set aside the lender’s $110 million lien in a five-day trial in Delaware bankruptcy court. Representation of a large private equity firm for investigation, crisis management and litigation following a high-profile accident and loss at a portfolio company. Representation of proprietary trading firm against a former employee who had converted to his own use the firm’s proprietary trading and related information. Obtained permanent and complete relief for client. Defense of one of the nation’s largest public accounting firms in an emergency proceeding seeking injunctive relief to prevent that firm from ending its alternative practice structure. Successfully defended against a motion for a temporary restraining order that would have put the client out of business. Prosecution of a private equity firm’s rights as a purchaser under a securities purchase agreement (SPA). The seller, a public company, allegedly breached its obligation to make all reasonable efforts to support the SPA transaction in connection with a shareholder vote. The value of the acquisition was in excess of $100 million. Representation in connection with valuation of and disruption to a closely held business in five-day trial in Circuit Court of Cook County. Representation of a prominent philanthropist in a dispute regarding the implementation of the terms of a grant agreement directing the use of a $100 million gift.